We’re catering food suppliers based in Essex, we’re obsessed with quality and we offer great value for money and next day free delivery. From small beginnings selling ham and cheese locally in 1972, we’ve grown to become Essex’s largest supplier of fresh cut bacon to the catering trade. We’re still a family-run business and we’re still as focused on quality as we were right at the start, but today we offer a range that extends from traditional meat products to sandwich fillings, meat-free and gluten-free options and branded goods. Our on-site factory is state-of-the-art and run by our dedicated team who are fully trained in all aspects of health and hygiene. We also comply with all HACCP requirements and carry out rigorous checks throughout the year to ensure standards are maintained. We produce all our sandwich fillings and cooked products in our own professional on-site kitchen. Strict process control means we can provide full traceability on all products and maximise shelf life. Plus we maintain our Food Hygiene & Safety Certificate through regular checks, giving you real peace of mind. We also provide confidence and reassurance to our customers as we have an annual audit with SALSA, the UK’s leading food safety experts. We have passed their rigorous tests each year since we joined in 2014 and the process to pass as you can imagine is thorough, in order to pass the high standards SALSA represents. We deliver next day for free in our fleet of SALSA-accredited vans throughout Essex, including Leigh-on-Sea, Romford and Chelmsford also London, Hertfordshire, Colchester and Clacton. So you’re never far from your next high-quality, super-fresh delivery. We pride ourselves on our proven track record of delivering outstanding service allied with the best quality produce. Our customers know that, because we always keep our promises, they can bring their own customers the food they want at the same high standard every time. We’re proud to have been a family-run business throughout our history. 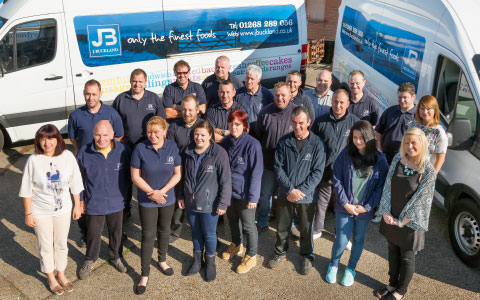 Today, our team from the kitchens to the office to our fleet of vans is here to make sure you’re getting the famous Buckland service. We value the relationships we’ve built across Essex and further afield and we work hard every day to exceed our customers’ expectations because we know you’re only as good as your last delivery. The business went through their audit very efficiently and soon received their SALSA certificate for 2014. We have continued to annually receive our SALSA certificate year in year out since then. ‘Gaining SALSA approval has been an excellent process for the business; the team have worked hard with great competency to achieve the certificate,’ adds Danny. 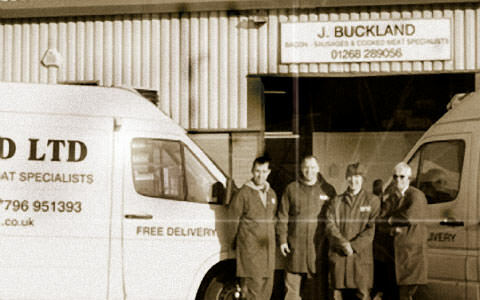 J.Buckland has expanded over the years and now offers a broader range of produce and an increased level of service to a wider area. They deliver to a large and growing customer base including butchers, bakers, wholesale caterers, delis, cafés, sandwich shops, restaurants and pubs. ‘SALSA has been an important process for the business. The SALSA tick instantly informs customers that we are producing to high standards. This gives us - and them - great confidence in our products,’ says Danny.